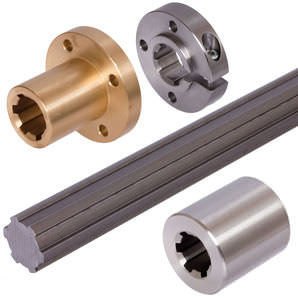 Linear-motion systems provide free movement in one direction through the use of bearings. While there are many different bearing types that enable such motion, linear bearings themselves move along a singular axis and cost a bit more than more standard round ball bearings. As they move, linear bearings are kept on track by guide rails that ensure superior motion along the racetracks of linear shafting. Unlike ball bearings, linear bearings can run on various kinds of shafting from hardened to stainless steel. They are generally less rigid, do not require seals, bear wider temperature ranges, and are simpler to integrate into existing systems. SMAC Moving Coil Actuators, Inc.